A foul-mouthed Teddy bear is no match for a pack of dinosaurs. Seth MacFarlane's "Ted 2" opened far under expectations with $32.9 million, according to Rentrak estimates Sunday, ceding the top two spots to holdovers "Jurassic World" and "Inside Out." While $32.9 million is a solid opening for an R-rated comedy, bigger things were expected from "Ted 2," which cost a reported $68 million to produce. The Universal Pictures sequel was expected to earn somewhere in the $50 million range going into its debut weekend, thanks to the record-setting precedent of the first film, which earned $54.4 million in 2012. 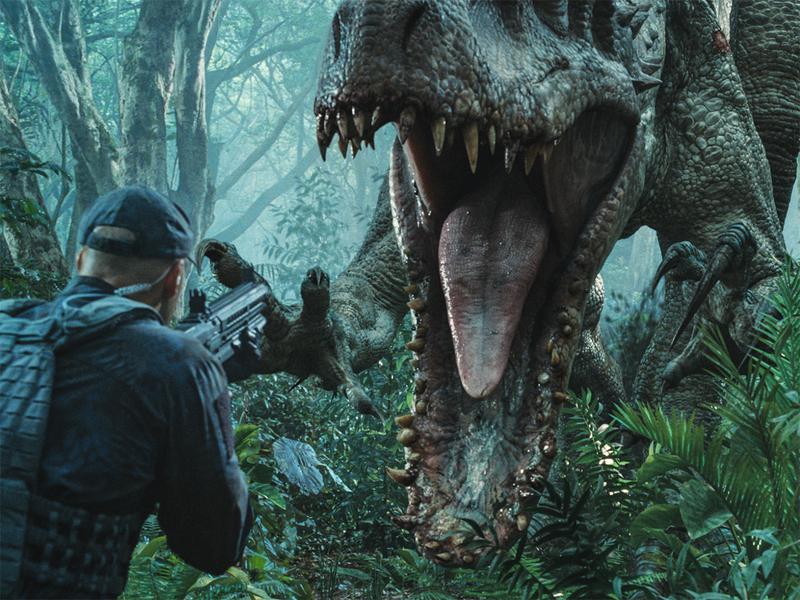 "Jurassic World," also a Universal film, narrowly held the top spot for the third weekend in a row with a mighty $54.2 million, pushing it past the $500 million mark domestically - only the fifth film to do so in history. Disney and Pixar's "Inside Out," meanwhile, finished at a close No. 2, earning $52.1 million - only a 42 percent drop from its first weekend in theaters. The film features the voices of Lewis Black, Amy Poehler, Mindy Kaling and Bill Hader. Dergarabedian marveled at the consistency of "Jurassic World" and "Inside Out." 'These are no flash-in-the-pan movies. Both are delivering exactly what audiences want," he said. "Max," the other new opener, brought in a modest but expected $12.2 million to finish fourth. Warner Bros. is distributing the PG-rated MGM movie about a PTSD-afflicted military dog who goes to live with his handler's family. The film, which cost under $20 million to produce, is performing especially well in the South, the Southeast and the Midwest, according to Warner Bros.' domestic distribution EVP Jeff Goldstein. Overall, the box office is still booming, up 7 percent from last year. With "Magic Mike XXL" and "Terminator Genisys" set to open Wednesday in advance of the holiday weekend, things are only going to heat up. 1. "Jurassic World," $54.2 million ($82.5 million international). 2. "Inside Out," $52.1 million ($26.4 million international). 3. "Ted 2," $32.9 million ($20.3 million international). 5. "Spy," $7.8 million ($6.4 million international). 6. "San Andreas," $5.3 million ($10.4 million international). 8. "Insidious Chapter 3," $2 million ($4 million international). 9. "Mad Max: Fury Road," $1.7 million ($3 million international). 10. "Avengers: Age of Ultron," $1.6 million.